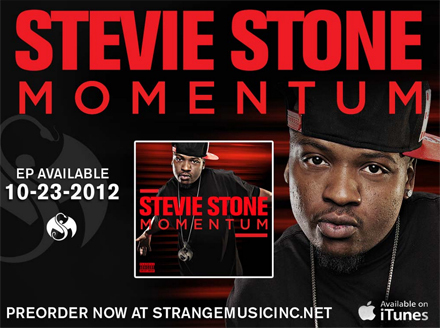 Stevie Stone – 'Momentum' Pre-Order Now Available! Stevie Stone just won’t stop! He continues to grind it out on the road and in the studio – his latest EP, Momentum, available, 10/23, shows that Stevie doesn’t plan on putting on the brakes. After a history making tour, Stevie went right back into the studio and built up Momentum. With hot new tracks like “Jump” and “Long Time Coming”, as well as features like Kutt Calhoun, Momentum is coming at you full-force! Preorder your copy today at strangemusicinc.net and you’ll get the Momentum EP as well as a Strange Music Snake and Bat sticker. 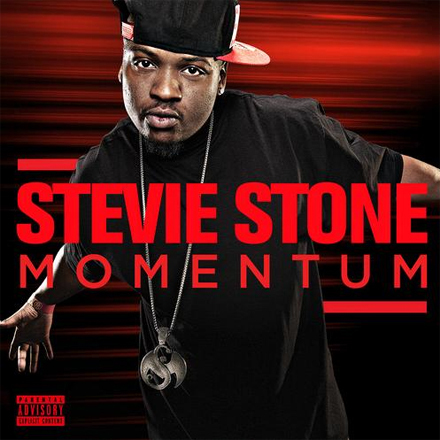 Click here to preorder your copy of Momentum, the new EP from Stevie Stone!